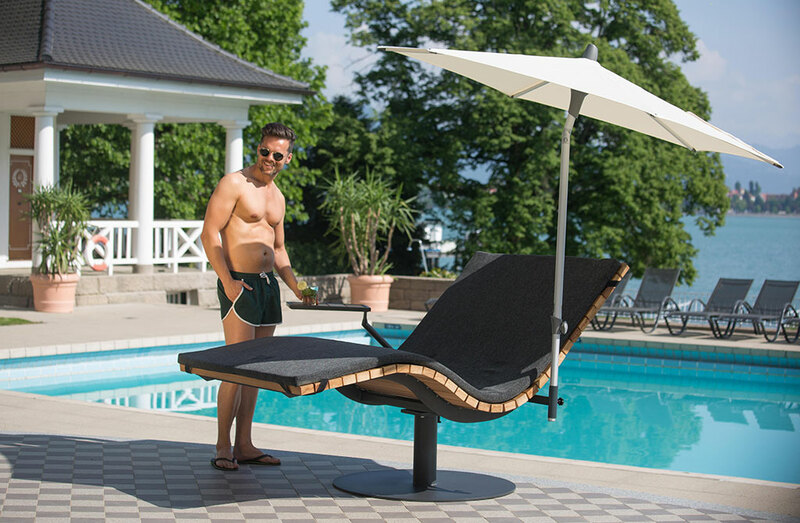 With SunDivan we have created a sunbed that leaves nothing to be desired. For us it’s not enough to offer you relaxation – we have created the circumstances that invite you to let go. Transform your place into a shady oasis with a parasol holder! 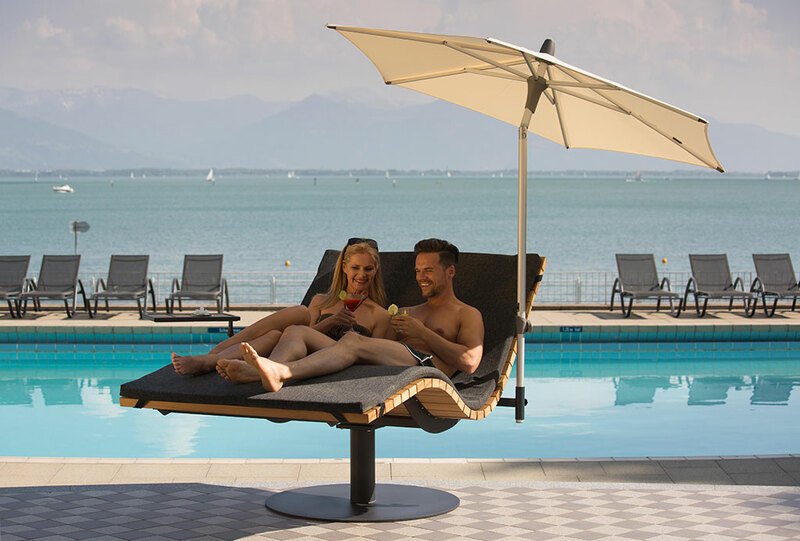 The rotating table serves you drinks or your favorite book while relaxing. The ergonomical shape gets your entire body into a relaxed position. The locker, which fits perfectly in the sunbeds design, keeps your valuables safe – You can leave and come back knowing everything will still be there. If you’d like to become a sales partner of “kleinmetalldesign” and sell SunDivan with appealing commissions – contact us!